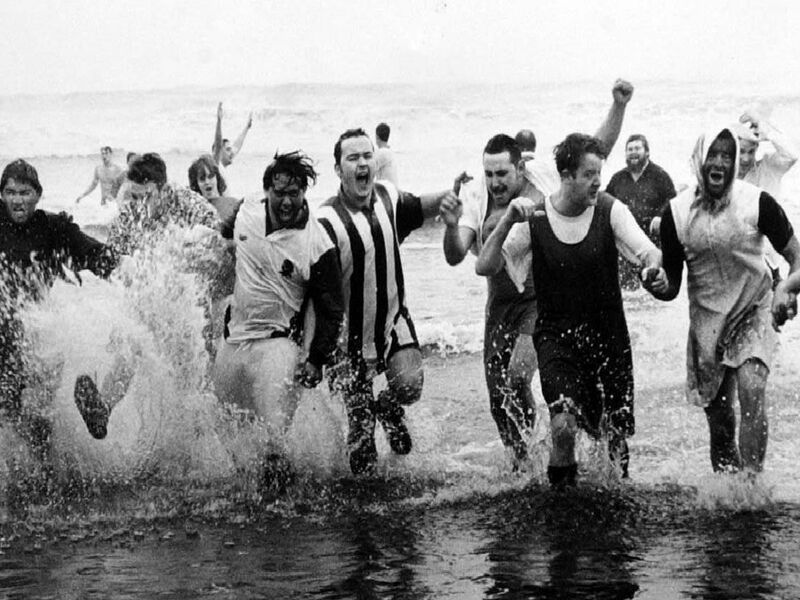 Can you spot yourself in our gallery of Hartlepool Boxing Day Dip yesteryear pictures? Hartlepool's annual Boxing Day DIp takes place on Wednesday, December 26, at Seaton Carew at 11.30am. Here, to get you in the mood, is a selection of photos from previous dips. Remember to log on to our website on Boxing Day and to buy our December 27 paper for full coverage of this year's event. Full details for the 2018 dip can be found here. Happy faces by the sea's edge some 33 years ago.. These fantastic four dippers were proud to pose for our camera. Making a splash a quarter of a century ago. Back for more this year, lads?